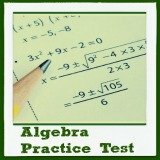 Are You Ready to Use Your Knowledge of Factoring to Solve Equations? In my polynomials unit, I demonstrated how to factor trinomials. But, did you ever wonder WHY we need to factor trinomials? Well, now you are about to find out! 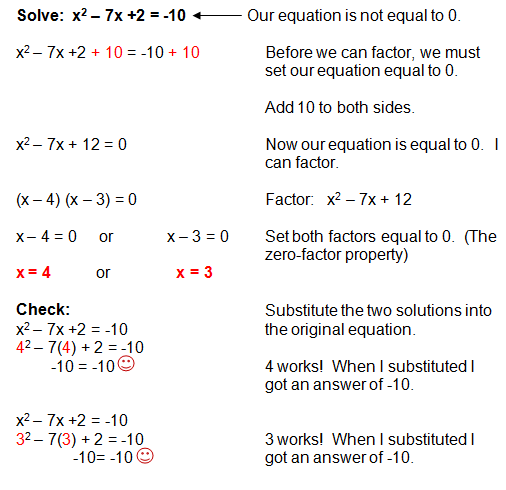 By factoring quadratic equations, we will be able to solve the equation. 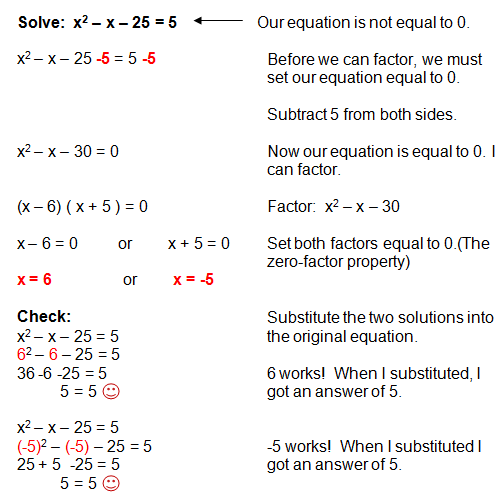 There are several different ways to solve a quadratic equation. If the equation can be factored, then this method is a quick and easy way to arrive at the solution. It is EXTREMELY important that you understand how to factor trinomials in order to complete this lesson. 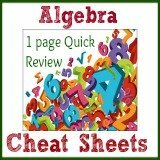 If you do not have a thorough understanding of factoring quadratic equations, please review this lesson now! 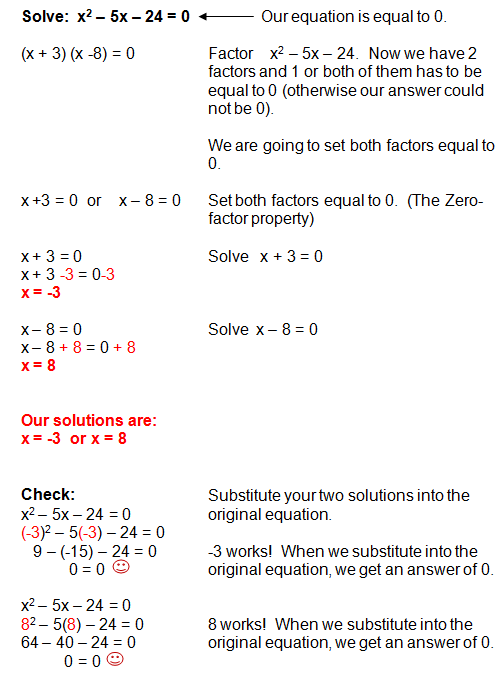 We can factor quadratic equations in order to find a solution to the equation because of the Zero-Factor Property. I know math properties and theorems can be difficult to understand at times. So, the zero-factor property simply means that if the equation is equal to 0, then at least one of the factors must be equal to 0. Think about it: When you multiply two or more numbers, the only way to get an answer of 0, is if one of the numbers that you are multiplying is 0. That same, very basic property for multiplication applies here. The key here is that the equation must be set equal to 0. Pretty easy, if you know how to factor trinomial. Let's take a look at another example. Are you ready to try one on your own? Great job! I believe you are now ready to use the quadratic formula!